Campbell Scott did a masterful job of keeping me on the edge of whatever seat I happened to be sitting while listening to King's thriller. It had me from the first word to the last. If Mr. Scott wasn't available for this book, Scott Brick is the only other voice I'd have loved to hear. King takes one of today's icons, the cell phone, and turns cell phone owners into what many of us sometimes think of them (even if we own one). Methinks that King stuck his tongue into one of his cheeks and had fun with people who have turned the world upside down: the gal who has to blab her latest intimate news in the grocery store; the guy who is so self-important that he feels that he's the only person in the theater or concert...in other word King casts a spell on cell phone users. I give this highly entertaining piece of King's mind six stars. It's one of the best listens I've had in the last five years. Len Cariou's masterful narration made me think of Scott Brick. 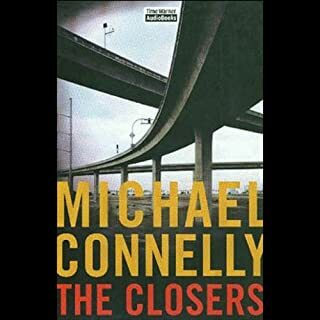 The book itself held my attention, but Mr. Cariou's performance made Connelly's work come to life as though I was watching a movie! This book ranks as one of the best I've heard. Thanks! What an outstanding book! As another reviewer said, it grabs your attention from the first word. I'd recommend this to anyone who asks. 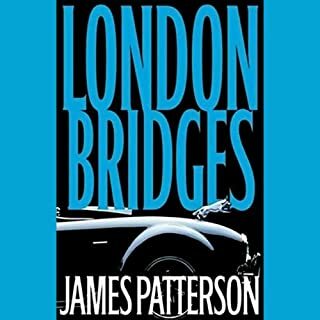 The surprise for me, however, was finding another excellent narrator! I'm a Scott Brick fan (who isn't? ), but I've be remiss if I didn't say that Steven Weber is in Scott's class, both are simply outstanding. Both men have a wonderful way of making the book come alive and have you sitting on the edge of your seat, even at 70 MPH. If you're looking for something for a cross-country flight, listen to this book, but tell EVERYONE about it! While hesitating to purchsase this book, I saw that Scott Brick had narrated it. That made up my mind. 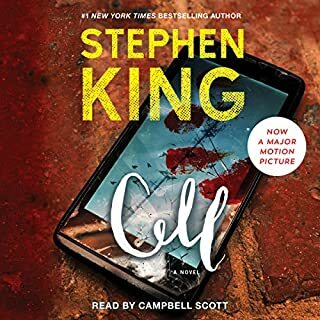 I was instantly mesmerized; Scott's incredible vocalizations makes any book he reads come alive in a way that no other narrator can. 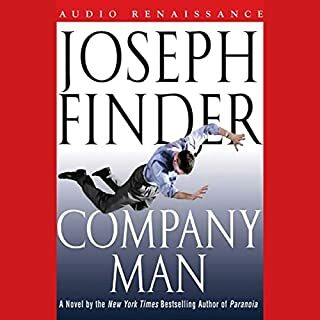 Company Man kept me awake, especially towards the end. The amazing twists and turns were completely unexpected. There aren't enough stars to rate it fairly. Thanks for a wonderful "read." This could have been a very enjoyable listen had not the producers played with a VERY ANNOYING sound effect every few minutes to announce chapter titles. Had they reserved the sound effect for section breaks, it would have been interesting, but to blare them constantly throughout the book made me erase the thing and want to request a refund. 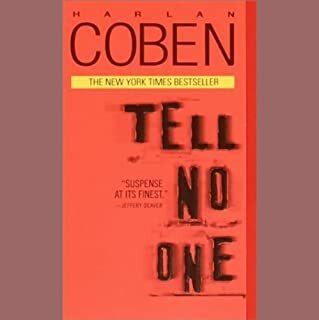 A Foley machine can be useful when used correctly; the use of it in this case ruined the book for me by constantly breaking the flow of the story. Don't waste your money on this one. To call Michael Beck a "narrator" is to call the late Leonard Bernstein a guy who stands in front of an orchestra and waves a stick around. Mr. Beck is brilliant and a man of a thousand voices. 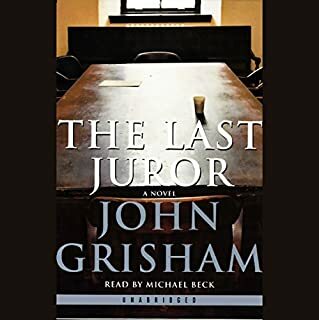 He did justice to The Last Juror in a way that brought it and the era it described to life. Some of the book's detractors grumbled about the side trips Mr. Grisham made in the book. I have to disagree, if one lived during those times, the "asides" set the scene as a fine frame shows off a fine painting. 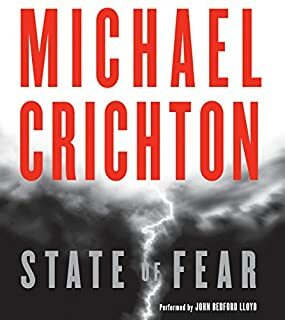 I'm almost certain that State of Fear is a great book, but there's no way that I'm going to buy a book that sounds like a very bored undertaker (or a very good hypnotist) is reading it. Just the sample alone was enough to make me drowsy. This is not a narrator to listen to while driving cross country. I sure wish that Scott Brick had done this book, it would have been a no-brainer purchase if he had.